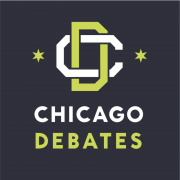 Chicago Debates relies on a large network of volunteers—college students, debate league alumni, professionals in the community, parents, and teachers—to help our debate program thrive. There are a variety of ways to get involved at Chicago Debates. Academic Debate is life changing for the debaters, but you can benefit too! Coach a specific school’s debate team on an ongoing basis. Coaching occurs weekly at the school during school hours, and at six weekend tournaments per year. External coaches can work in either a paid or volunteer capacity. The position requires prescreening as well as a deep commitment to coaching debate. Ongoing training and support are provided by Chicago Debates. Calendar of upcoming trainings, tournaments, etc. found here. The debate tournament is a long day, but you can feel free to help out in shifts. Come support one (or all) of our working shifts. *Please note debate tournaments take place in schools across metro Chicago. Tournament dates and locations will be available at training. Do you have a group interested in volunteering or planning a day of service? Then volunteer with Chicago Debates. Come work with Chicago students to support their skills in policy-making, speech, and critical thinking in a competitive environment. No debate experience needed! 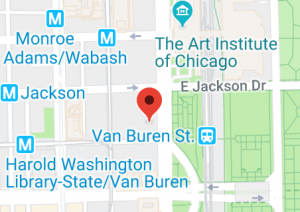 All sessions are held at Chicago Debates’ office at 200 S Michigan #1040. Orientation training sessions are held throughout the year and future dates will be scheduled soon. For a list of current schools in our League, click here. Please contact us if your Chicago school isn’t on the list and you want to learn about what it takes to start a debate team. Watch this demo debate for an example.